Mt. 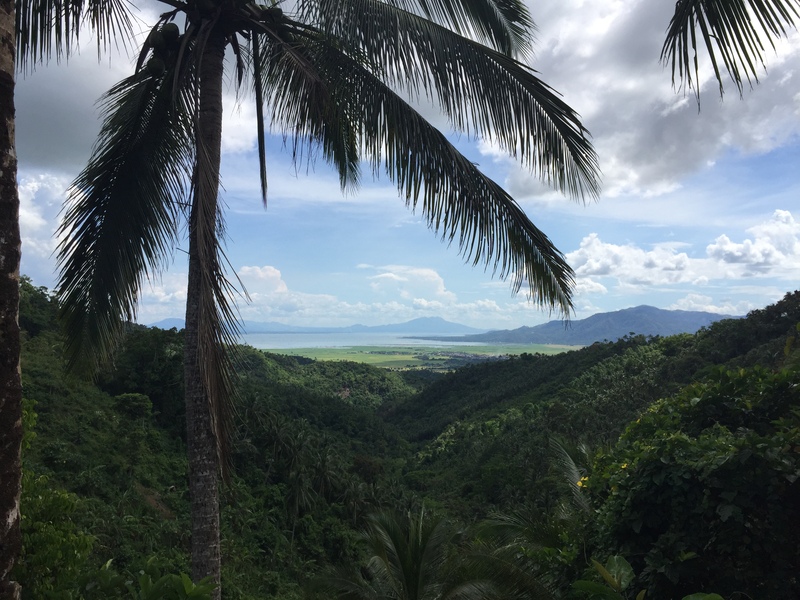 Romelo is located in Siniloan, Laguna province, in the foothills of the Sierra Madre mountain range, east of Manila. At less than 300 metres above sea level, Mt Romelo is one of the most beginner-friendly mountains to climb near Metro Manila, offering great scenery and a relaxing hike through the tropical rain forest. 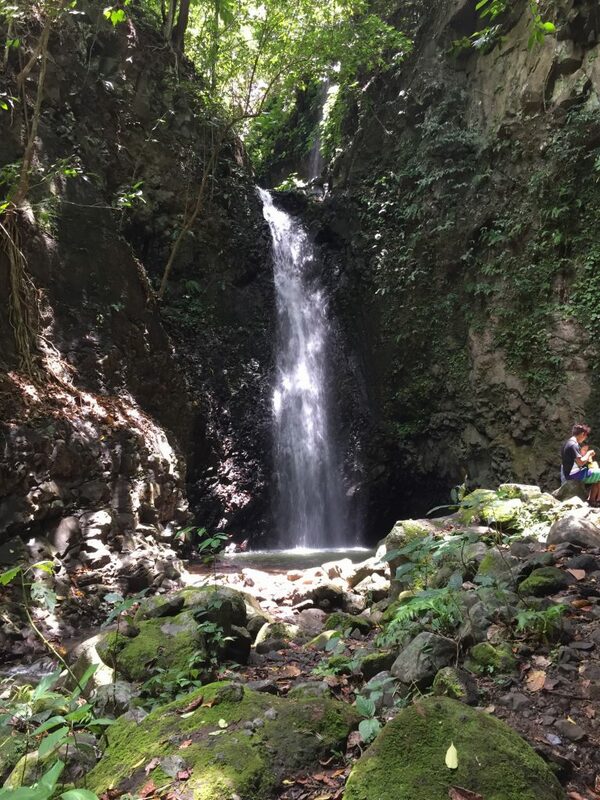 With the Siniloan River running through the area, there are several waterfalls all within close proximity to each other, but the three we visited were Buriwasan Falls, Lanzones Falls and Batya-Batya-Falls. The start of the hike takes you through a small local village on paved roads and well-established trails. After about 30 mins, you then hit the mountain and the incline begins. This isn’t a very tough hike as the trail is fairly well established, and the incline isn’t that steep, although there are a couple of challenging sections. 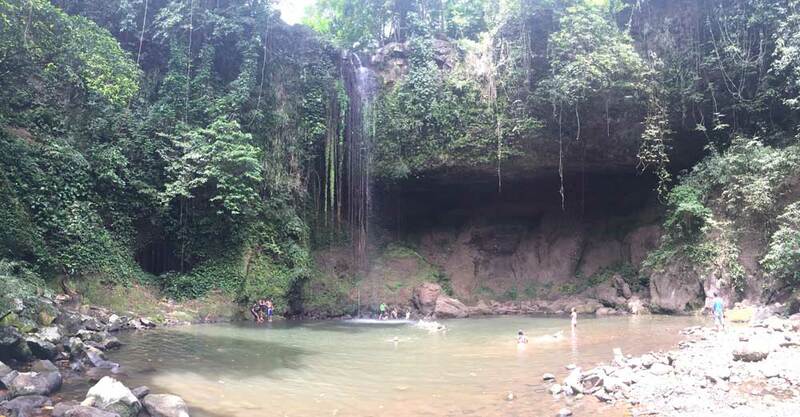 After about an hour and a half, you reach Buriwasan Falls, a very tall and elegant waterfall standing at about 25-30 metres in height. We stopped here to cool off with a swim and a picnic lunch. The area was quite crowded with many locals also picnicking and relaxing with family and friends. Next stop was Lazones Falls which was quite close, about another 10 minutes hike. Lazones is a very different waterfall to Buriwasan in that it wasn’t as high, probably only four or five metres tall. This then flowed into a series of rapids further downstream. With all the moving water, it was extremely refreshing to swim here. Our final destination was Batya-Batya Falls which was about 30 minutes away and a lot more difficult to get to as you needed to actually walk through a small gorge and the river to get to it. Some of the huge underwater boulders made it challenging when it came to balancing, so real care needs to be taken. 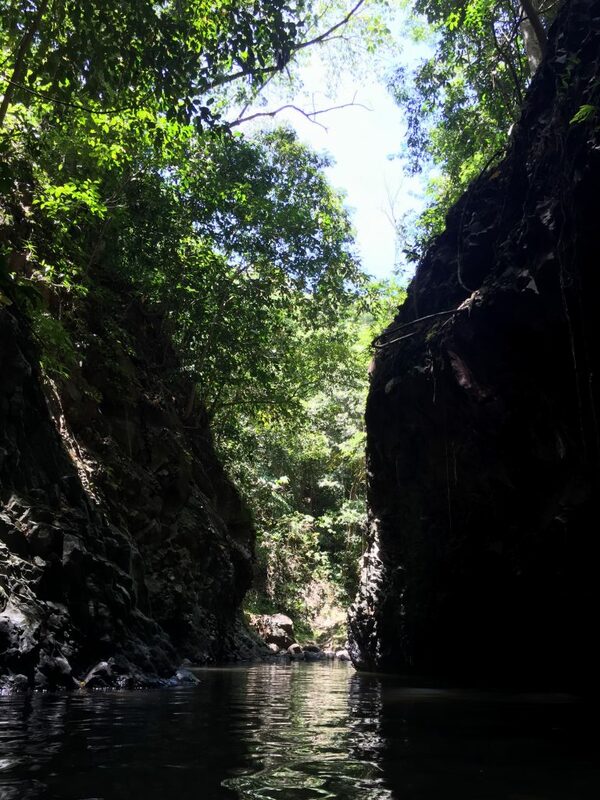 Batya- Batya Falls was more of a cascading fall in nature, allowing you to position yourself within it on one of the many rock ledges with the water running over your body. These falls were smaller in height to Lazones Falls, but the surrounding rock formations were much bigger. As a result, this is a popular location for locals to scale the rock face in order to jump from the top, several metres above the falls. This is a good day out and a nice relaxing hike without being too strenuous. Make sure you pack plenty of water, picnic lunch and snacks, swimming gear, towel and change of clothes as the area is quite remote with nothing really on offer aside from the natural beauty of the place. A view from about halfway up Mt. Romelo, looking back to Laguna De Bay through the trees. This trail isn’t overly difficult and offers some stunning elevated views. First stop was Buriwasan Falls, which was about an hour and a half into the hike. We went in January which is the dry season, and as such, the flow of the water wasn’t all that strong, but the rock formations were quite spectacular. Second stop was Lanzones Falls. While not as high and spectacular as Buriwasan Falls, there were some nice rapids downstream from the falls with the water peacefully cascading across the rocks and boulders. The access to Batya-Batya Falls was very tricky as you need to wade through sometimes chest high water to get to it. With lots of rocks and boulders in the water, it was very challenging to get to. Our third and final stop was the more difficult to reach Batya-Batya Falls. 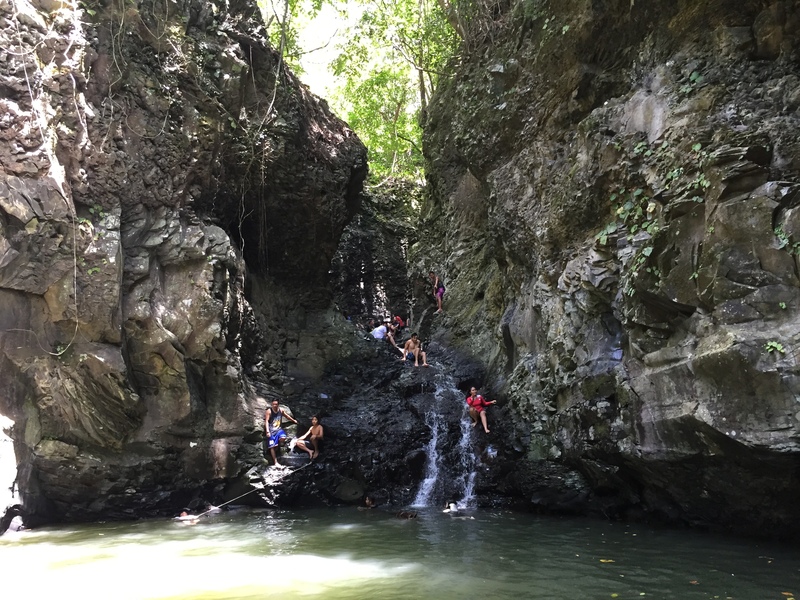 These falls appeared very popular with the locals, with rock climbing (and diving) proving to be a popular activity. The landmark to lookout for is Trois Restaurant in Siniloan, which is on the Siniloan-Famy-Infanta Road, about 72kms from Makati, or about 3hrs drive via R-5 Road. From there the locals will direct you to the registration area and entry point for the hike. The trail can get quite muddy and slippery so it’s best to avoid hiking here during wet season. Best time of the year would be Feb/March. Horses are also available for P500 to take you to the summit and back if the track becomes too difficult.